You no longer have to be in the fashion capitals of Europe to buy fabulous shoes, boots and accessories. A trip to Escala Shoes is all you need. 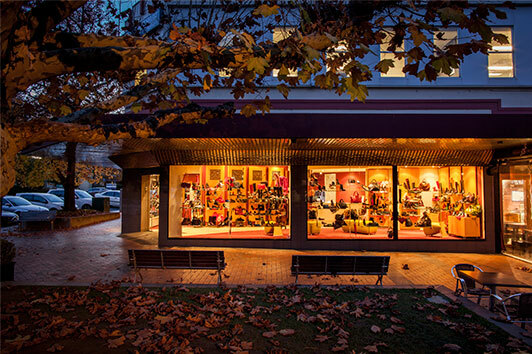 Since 1999, Escala has brought to Canberra a curated selection of shoes and accessories from the most exciting and in-demand designers, including Guglielmo Rotta, Arche, Lupo, Barbato, Gardenia, T&F Slack, Megumi Ochi, and Peter Kaiser. Some labels are sold exclusively through Escala. Whether you love elegant heels, effortless flats, warm winter boots or fun and funky casuals, Escala has a huge selection. While in-store check out our beautiful section of bags, scarves, clothing, belts, gloves and umbrellas. Escala has you covered from head to toe. Gail Lubbock knows shoes and travels to Europe for seasonal buying trips, hand picking beautiful, well-designed shoes, boots and accessories that look fabulous and are fabulous to wear. She has contacts in many famous fashion houses of Europe and an eye for divine detail. Gail’s love affair with Europe started in 2005, on her first trip to Milan for fashion week. Since then, she has headed overseas twice a year to source shoes and accessories for every need--celebrations, corporate, casual and comfort. Gail is a hand's on buyer, visiting designers direct and touring their manufacturing houses. Gail and her staff are also expert at fitting shoes for maximum comfort and wear.